Aeromexico has dropped the price of their winter flights from Montreal to Oaxaca, Cancun, Huatulco, Manzanillo, Puerto Vallarta, Acapulco, and Mazatlan, Mexico down to between $276 and $314 CAD roundtrip. The flights to Manzanillo are the most interesting. To Puerto Vallarta, Acapulco, or Mazatlan, you are perhaps better off with a much faster, non-stop flight, even if it is more expensive. However, there aren't any non-stop flights from Montreal to Manzanillo, and Aeromexico's flights are about as fast as you can get there. 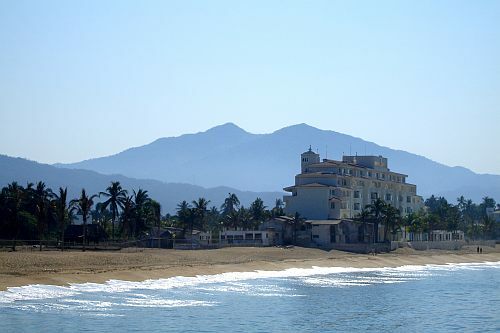 Manzanillo is a more laid back, off the beaten path, port town on the Pacific side of Mexico, known for it's calm surf, diving, and sport-fishing. Update 12/18 - Montreal to Manzanillo is now available for $298 CAD roundtrip. Puerto Vallarta for $303 CAD roundtrip. Mazatlan for $314 CAD roundtrip. montreal, yul, flight deals, mexico, cancun, cun, north america, aeromexico, puerto vallarta, pvr, huatulco, hux, manzanillo, zlo, merida, mid, oaxaca and oax.